The Bible addresses so many topics that can answer our questions and help us now and in the future. What are some of the most important Bible study topics? 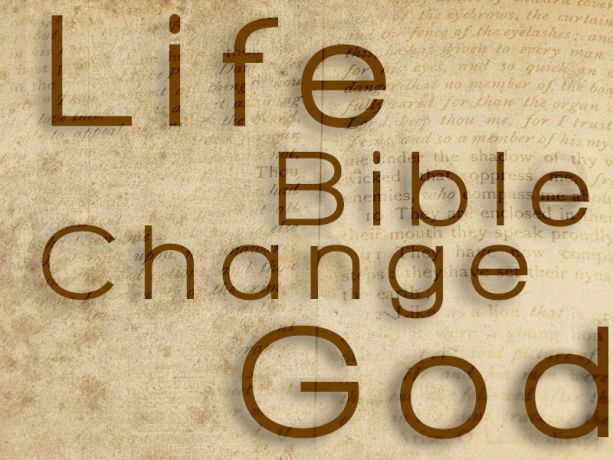 The Bible is a tremendous resource and a wonderful gift from God! It’s been called an instruction manual for life, showing how our Creator designed us and how we should live for the best, eternal results. Although the Bible is a great reference book, it is not like other books you may be familiar with. The Bible isn’t written like an encyclopedia, a dictionary or a textbook. It is composed of 66 shorter books written by dozens of people over about 1,500 years—yet they all have a unified message. Reading the Bible book by book is an excellent way to get the big picture and overview of God’s entire message. There are many read-the-Bible-in-a-year programs and other programs that you can use for this. And, of course, you can create your own plan to read the Bible through. But it is also very helpful at times to pick a Bible study topic and try to find sections of the Bible that address that subject or answer that question. Many times daily life gives us questions and topics that we want answers to, and these make excellent Bible study topics. But sometimes we aren’t exactly sure what would be helpful to study, and we would like to pick from a list of Bible study topics. If that is what you are looking for, we hope the 50 topics below will be a helpful starting place for you. Once you have a topic, you still need a method for finding the relevant passages about that topic in your Bible. Concordances and topical Bibles can help. A concordance allows you to look up every time a word related to your topic is used in the Bible. Online and electronic concordances also let you search for combinations of words or a phrase. Topical Bibles are put together to group relevant passages together. These can be helpful, but keep in mind that they generally won’t include every possible Bible passage and will reflect the background and doctrinal beliefs of the people who compiled them. See our article about “Bible Study Tools” for more information about how to use a concordance and other tools. You might also find it helpful to search our site about the topic you are interested in. Here are 50 Bible study topics to get you started, grouped around the six topic areas we felt were so important we needed to highlight them on this website. Why Did God’s People Go to War? Your daily life will likely give you many topics to study in your Bible, and these can be the most helpful Bible study topics! All-Topics Page: This page lists all of the articles on our website, and new articles are being added regularly. As you look through the list, you are sure to find something that is relevant to you, something that you’ve wondered about or that would help you in your personal walk with God. The articles also will give you a starting place for your study. You can look up the passages mentioned and read more of the context in your Bible. Weekly Newsletter: This link takes you to the subscription form for our weekly email newsletter. The newsletter features the new content on our website, including video commentaries, blogs and articles. We hope you’ll find at least one Bible study topic that grabs your interest in the newsletter each week. Topical Bibles and Concordances: These Bible study tools can help you find the relevant passages once you have chosen your Bible study topics. However, scanning through them can also give you dozens of topics for your future study. Finding Bible study topics might be challenging, but having too many to choose from can be daunting as well. Don’t let “analysis paralysis” keep you from starting. Hopefully several of the ideas in this article looked interesting and helpful to you. Pick one now and get started! Please let us know if you have questions or if we can help in any way.